Last year, there was an unexpected buzz on TV about several people who were not big-name actors, singers or TV personalities. They were non-celebrities who had not been exposed to media before. From matchmaking to restaurant mentorship, reality programs featuring non-celebrities have risen in popularity, with viewers seemingly tired of celebrity-centric reality show formats. Viewers say they like watching non-celebrities for their natural behavior. Though the outlines of the shows are laid out, the exact scenes and lines are not pre-written or practiced, attracting viewers with candid speech and behavior. This is apparent in possibly one of the biggest hits from 2018, season two of “Heart Signal” on Channel A. The seasonal reality-dating show features non-celebrities living together at the Signal House, hoping to find love. The second season of the show aired in early 2018 marked an average viewership share around 2.8 percent. The seemingly low figure did not fully reflect the show’s popularity, as many of the cast members landed new entertainment-related careers, thanks to the public attention given to the show. 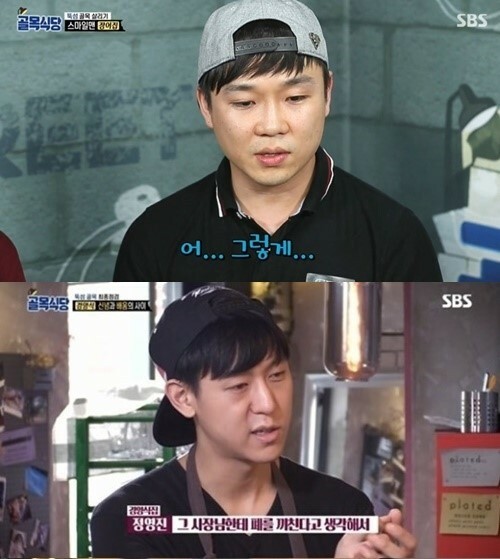 Another non-celebrity show that has been creating a buzz is SBS’ ongoing entertainment show “Backstreet,” also known as “Alley Restaurant.” Star food entrepreneur Baek Jong-won offers “solutions” to faltering small restaurants, hoping to revive their businesses. The Wednesday night show has been marking an average viewership share of 8.8 percent since it began a year ago. The format exposes the restaurateurs’ sincerity, or sometimes their incompetence. While some restaurants have built up a successful image through the show, attracting long lines of guests, others have effectively been ruined, their owners portrayed as lazy. But some programs are accused of sensationalism, as they use non-celebrity cast members as bait to reel in viewers. One such program was the axed Superstar K franchise, which from its very first season was suspected of twisting and distorting the intent of the contestants to create “characters” for dramatic purposes. In season four of the show, one of the top 10 contestants dropped out of the competition in protest of what it described as malicious editing, or “the devil’s editing” as it is commonly referred to here. Also, the candidness sometimes leads to overindulgence on the part of the viewers, who blur the line between the broadcast and reality. Some of the viewers, forgetting that the scenes can be staged or edited, fly into a rage when cast members fall short of expectations, publically criticizing them online. Production teams sometimes contribute to the phenomenon by adding captions to the shows as if they are the inner thoughts of the people on the show, when no such words are said. Two restaurateurs from previous episodes of “Backstreet” have started individual online broadcasts, arguing that they are victims of malicious editing. They teased that they will be revealing what they claim is “the hidden truth” about the show. Cast members of “Heart Signal” and other similar dating reality shows have spoken out on the issue on their social media accounts, begging viewers to draw a line between the shows and the reality, suffering from malicious comments and verbal attacks.